O & O disk image is a pc backup software to restore all your data which is lost due to any reason like system failure, sudden system shutdown, data deleted accidentally or files deleted by a virus. Before we grasp more knowledge about this software and how does it work let’s explore more about data backup. Data plays a crucial role in everyone’s life whether it’s soft or hard copy hence one should take it seriously and regularly take backup of your important data. What files and data are important and you should take backup of these files. Schedule your backup time and you can take backup every day, weekends or in a month which completely depends on you how you schedule. Decide where to store the data so that you can restore whenever required. Type of media you want to take backup. 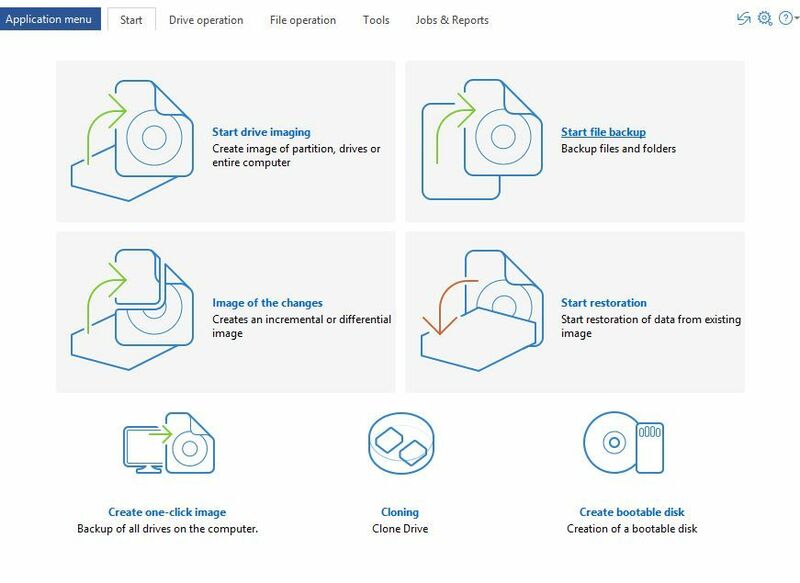 After long hours of experiments, our IT experts declared that O&O disk Image backup is one of the best windows backup software for home and professional users which allows you to take backup of all your drives individually and you can also select the set of files of your choice you want to take backup of. With the help of this software, you can restore chunks of data in the single click. Auto backup and Manual backup function:- Either manually take backup of your system or choose an auto backup. Both the features are available in a single product that’s the uniqueness of this product. Backup full hard drive or even single files or folders – O&O Disk Image backup let you take backup of your full system which includes your personal information, all hidden files in your system, individual files and folders with just one single click. Plug and Play Functionality – Take a backup of your harddrive easily using plug and play functionality which means that your selected files and folders can be backed up automatically. An option of Restoring your system into different hard drive. Create a boot medium directly from within the program. At an uneconomical price of $49.95, this software is giving you lot of advanced options that let to take entire backup of your system. Que – How much you are willing to pay that completely take you out of stress and satisfy your inner soul? Situation:- You open your system to email an important file to your boss which is stored in one of the drives of your system and suddenly you find that the same file is missing from your system and after scanning your entire system you are unable to access that file. Now you don’t have a backup what should you do? These backup services companies charges are overpriced and can’t be affordable in that case you have must have a backup software installed on your system that can help you to take backup. 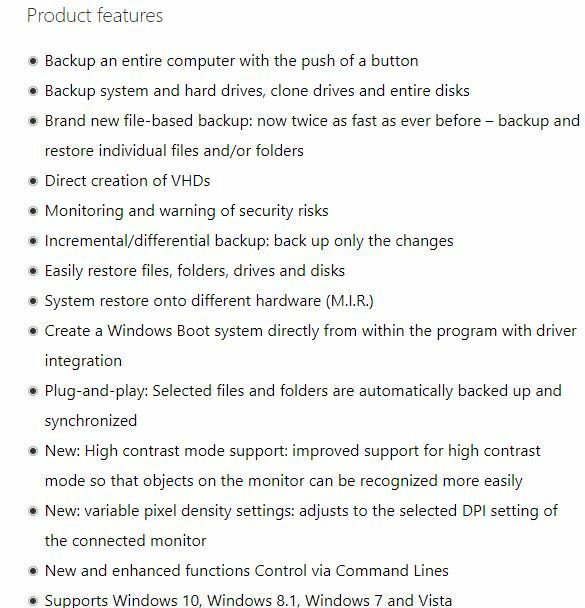 O & O Disk Image Backup is the best pc backup software that allows you take complete backup up system with all the functionality and restore later on. OS Support:- Windows XP, Vista, 7, 8, 10.